This backpack is, bar none, the best backpack I’ve ever owned in my entire life. It is titled as a laptop backpack, but I use it for casual everyday use as well. So much room for storing everything you need, plus some neat features, and incredibly attractive design. The backpack itself is super durable with thick reinforced fabric, featuring a nice-looking punctuated texture, which makes it look premium and expensive. Quite frankly, this is not an affordable backpack, but I don’t really care, because owning it is a real treat. The strong and durable fabric is great for everyday use; for it will make sure your backpack stays the same after years of heavy usage. The back is super comfortable, and feels great when mounted. The shoulder straps are durable and nicely padded as well, and you have a chest strap included, which will help while cycling. The storage compartments offer tons of storage space, starting with the back one where you can put your laptop, into a nicely separated compartment. The other main compartment is great for carrying extra clothes or books or whatever it is that you need. 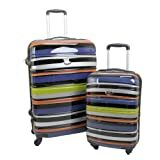 Tons of internal pockets and compartments are included as well. The front compartment is where you can put several accessories or office essentials, all neatly organized. Then, the top compartment, which is crash-resistant, can carry your most fragile items like the smartphone or sunglasses. The front Shove-it pocket is fastened with an additional strap, and you can easily carry your jacket, rain coat or some other books and magazines. The design looks stunning, and commands attention. People will constantly complement it, as I’ve learned myself. The fabric is ultra-durable, as well as the zip mechanisms, which feature blue plugins for ease of use. They make the backpack look even better. 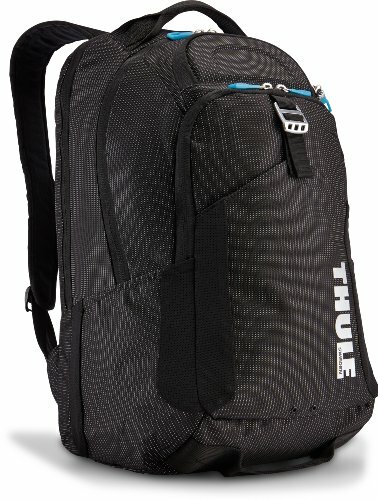 A lot of reviews are available for this Thule Crossover backpack on Amazon, where most of them are super positive. 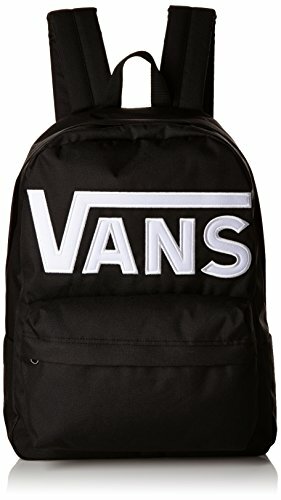 Given the price, this backpack is not a top selling product, which is easy to understand. 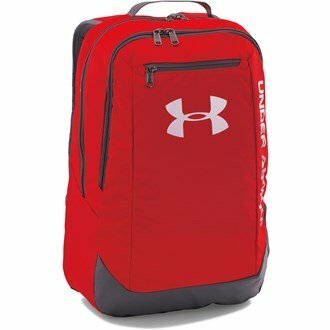 It far surpasses backpack in the same category and price range – Both in terms of design, as well as functionality and durability. 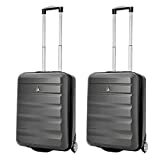 If you want to buy yourself a stylish, elegant and super durable backpack, which is great for casual everyday use, and some over-the-weekend trips, this Thule Crossover backpack is absolutely the best one you can find.